District 21 – October 2012 – Lincoln Nebraska A.A. Traditions read by: Tom B. Ending Available Balance:_515.47 (+$150 Reserve- Actual Ending Balance $665.47). I wanted to thank Linda S again for chairing the September Dist 21 Business Meeting. After recovering from Gall Bladder surgery last month, I was able to attend part of the Treatment/Corrections Workshop sponsored by Lincoln Intergroup at the People for Center in Need. 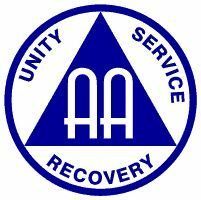 There was a great turnout and although I missed the first half of the workshop, I was able to hear the second half which consisted of different speakers who have personally benefitted by the hand of AA reaching out to them while they were in treatment centers and correctional facilities and who are sober and involved in service today. Since we did not receive the Area 41 Newsletter until after our Sept 2012 business meeting, I emailed the information to Dist 21 contact list to review, which included the 2013 Proposed Budget. I am glad to be back and be of service! 1. Pocket of Enthusiasm (Jenni H.): Halloween falls on a Wednesday, people are encouraged to attend in costume. 2. Sufficient Substitute (Keith for Becky N.): Format continues, discussion based on speaker length. They feel the purpose of this meeting is to carry the message to the alcoholic who still suffers which can be accomplished under the current format. Newcomers are getting involved and they are drawing from the surrounding rural community. 3. Women’s Circle of Friends (Vickie P): Nothing new to report. 5. Cafeteria Group (Tom B. ): Things are well, and looking forward to the anniversary. 6. Spiritual Actions (Jay for Brian C.): Same ole’ same ole’. 7. Seeking Solutions (Nancy S.): Lots of newcomers, attendance is up, still looking for a secretary. Things are going well. 8. Steps we Take (Michael F): Attendance steady, the occasional newcomer, going well. AGENDA ITEM 2012-3-10 004 Finance Area 41 to allow reimbursement for two nights hotel stay for Area 41 officers, committee chairs, and service positions who live more then 300 miles from the Area 41 meeting site. Item discussed and re-worded in committee as follows: Area 41 would reimburse two nights hotel stay for Area 41 officers and committee chairs who live more than 300 miles from the meeting site. AGENDA ITEM 2012-03-10 008 Finance – Area 41 reimburse mileage to officers and committee chairs at 40% of the federal rate rounded up to the nearest nickel for ease of calculation. Background : This is not an attempt to raise the mileage rate that was just set last year. It is an attempt to set it so that Area, in theory, doesn’t have to re-visit the issue again. The previous finance committee recommended the 40% rate, but it was only submitted as background, and was not presented as an item on the agenda. Minority voice: “rounded up to the nearest nickel”, while individually be small, as a whole, could end up costing AA a significant amount of money over all. 3) Possible other location for Dist 21 Bus Meetings with handicapped access. * If lift is working at current location, and this was the primary reason for looking for a new location, do we still need/want to look? Tom B met with contact at Bryan West and they do have a meeting room that we could use for our monthly business meetings and we could determine the amount we pay them for rent. Jennifer R had a concern with the local AA meeting lists being already printed for the Fall/Winter 2012 season. Others felt this would not be a big deal and we would all want to announce the change to our groups if we change meeting locations. Sufficient Substitute felt that AA should not be allowed to give less then any other group meeting in the same venue. Can the meeting afford to give more then $10.00. It was felt that we could should we need to. As mentioned before if the rent increased, we would need to take this to the groups for feed back on both location and cost..